The SummerMusicAcademy Orchestra was founded for young musicians to work together at the highest level. The orchestra’s vision and fundamental idea is to bring people from many different countries and nationalities together, in the hopes that this international atmosphere will build bridges between the participants – both musically and personally. 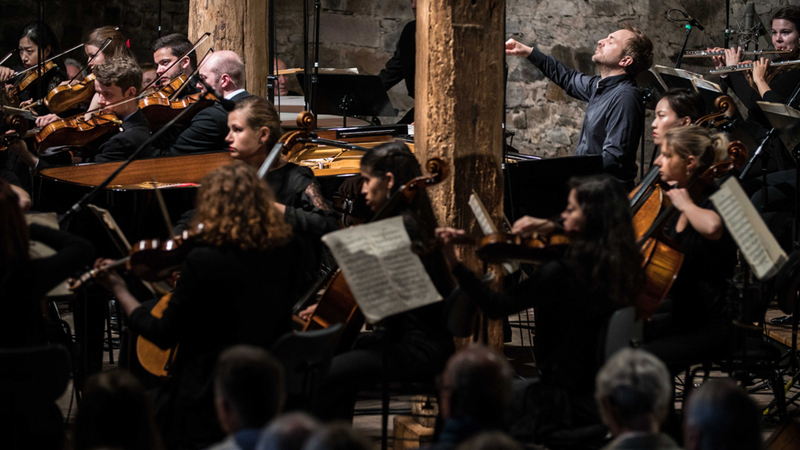 The orchestra academy of 27th annual SummerMusicAcademy will take place from 18th (arrival) to 28th (last concert) July 2019, directly at Hundisburg Castle. The departure is possible on 28th and 29th July. Hundisburg Castle lies in the heart of Germany, in Saxony-Anhalt. First mentioned in 1140, the fortress was rebuilt into a Renaissance castle in the middle of the 16th century and complemented by baroque elements in the 18th century. Hundisburg, with its historically important park, is now one of the most significant and beautiful Baroque castles in Germany. It’s free! The SummerMusicAcademy grants each musician a scholarship covering travel costs from your home town as well as room and board. Additionally, each orchestra member receives a 300 Euro stipend for the programme’s duration. We reimburse travel costs from your home town to Hundisburg and back. If you go by plane or train, please choose economy class. Drivers will get 0,20 € per kilometer but maximum 130,- €. We cannot pay for taxi rides. You will be accommodated in three/four bedrooms at the »Schlossherberge«, the hostel of Hundisburg Castle. The orchestra is under the direction of Johannes Klumpp, Musical Director of the SMA orchestra since 2007 and Artistic Director of the SMA festival since 2013. He is Chief Conductor and Artistic Director of the Folkwang Chamber Orchestra Essen where he regularly appears in the dual role of conductor and presenter to encourage audiences’ connection with the music. From 2009 to 2011 Johannes Klumpp was »1st Kapellmeister« at the »Musiktheater im Revier« in Gelsenkirchen. He has won several prizes like the Special Prize of the »Deutscher Dirigentenpreis« in 2011. During his many concert activities, he has also been frequently invited as a guest conductor to work with various renowned orchestras like Düsseldorfer Symphoniker, Russian Philharmonic Orchestra and Konzerthausorchester Berlin. Find more detailed information at www.johannesklumpp.de.